22-year-old Marine, Christopher Rather was denied bail Monday on charges of beating 20-year-old Jasmine Morris and stabbing her in the neck, then leaving her to die in the kneeling position on a set of Northeast Baltimore bleachers with her hands bound. 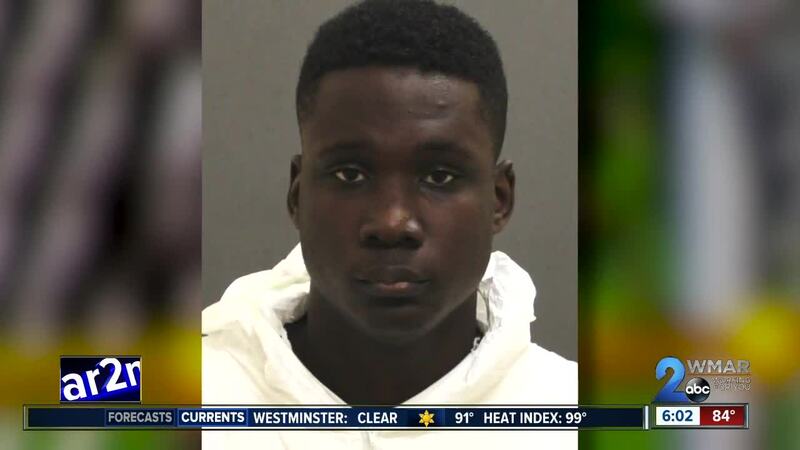 As Rather, a current lance corporal reservist in the United States Marine Corps was sent back to jail this morning, Baltimore Police were in a county landfill to dig up more evidence in the murder case against him. "During the course of this investigation we interviewed witnesses that identified a dumpster that the suspect may have put something in," said Major Chris Jones. Jones, the commander of homicide said detectives had reason to believe Rather discarded evidence last week near his northeast Baltimore home. Through the GPS tracking of the garbage truck that picked up the contents of that dumpster, detectives were able to narrow the search field down to just one acre in the Eastern Sanitary Landfill. Jones said they then had to dig 12 feet down before finding what they believe could strengthen their case. "We did find some articles that we are going to look further into and submit to the lab to do additional testing. Something was recovered yes," Jones said. Police won't say what they found or if it will be used in the case, either way Rather will await trial while locked up. The United States Marine Corps said today it is aware of Rather's charges. Rather joined the corps in 2015 and in his three years of service was never deployed. According to charging documents though, he may have been set for training in California this week. Rather, who had a previous relationship with Jasmine Morris, publicly mourned her loss with two facebook posts before he was arrested on Thursday. One post expressed his “shock and disbelief,” the other included a collage of pictures asking who would take his best friend away like this. Rather is due back in court next month.